Microsoft Windows 7 was officially launched in Malaysia last week on 23th October, 2009. 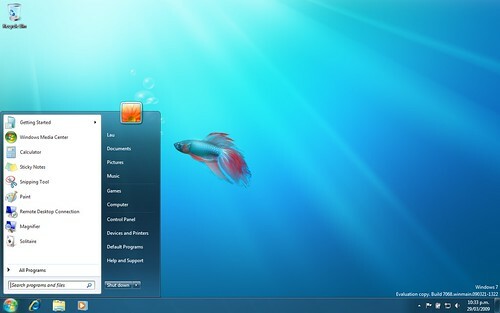 Many Windows users are awaiting to install Windows 7 into their computer. Now, you can purchase Windows 7 in any major IT stores. For those who bought a PC or notebook with Windows Vista installed between 26th June, 2009 and 31st January, 2010, you could be eligible for a free Windows 7 upgrade. To be eligible for free upgrade, please check the Windows Vista part number at Microsoft Upgrade Option page. Next, you will need to contact your PC or notebook manufacturer (e.g. Dell) to ask for the free upgrade. Read more about Windows 7 features.